Katie Grand, stylist, has been named contributing fashion creative director at W Magazine. Bryce Scarlett, hairstylist, has been named celebrity stylist at Moroccanoil. Laurent Claquin, head of Kering Americas, has also been named chief executive at Tomas Maier. Massimo Nicosia, menswear design director at Pringle of Scotland, has left the company. Jennifer de Winter, senior vice president of North America at Tiffany & Co., has left the company. Philippe Galtié, SVP of international at Tiffany & Co., has also been name SVP of North America. Julie Bornstein, chief operating officer at Stitch Fix, is leaving the company. 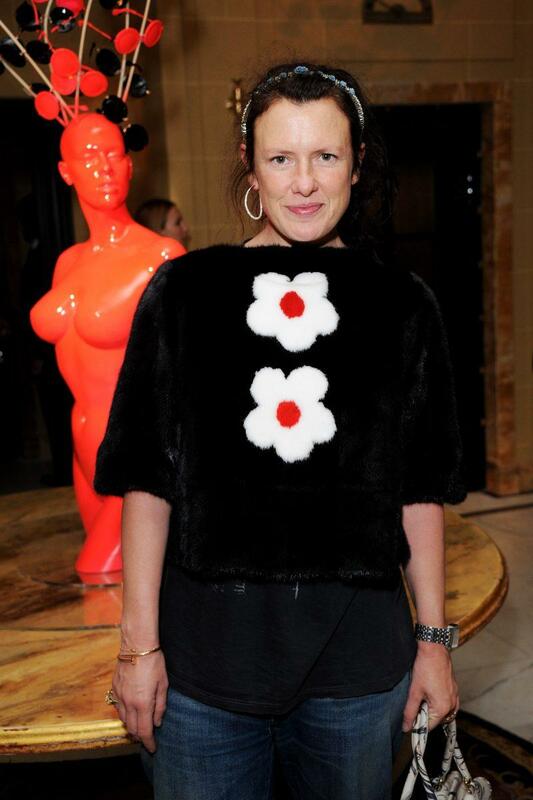 Rickie De Sole, formerly fashion market and accessories director at W Magazine, has been named fashion director. Sara Moonves, formerly contributing fashion editor at Vogue, has been named style director at W Magazine. Lyndsey Havens, formerly vice president at DKC, has been named director at LaForce. Paul Price, former chief merchandising officer at Burberry, has been named CEO at Topshop/Topman. Ashish Sensarma, CEO at Wolford, will leave the company. Paul Masters, formerly chief financial officer of Missguided, has left the company. Jimmy Everett, formerly senior manager, global publicity at Levi’s, has been named director, global PR and engagement at Docker’s. Dena Silver, formerly senior editor of style at the Observer, has been named lifestyle editor. Zoe Saunders, formerly PR manager at Cynthia Rowley, has been named PR manager at TUMI. Amanda Tropila, formerly account executive, fine jewelry and watches at The RealReal, and Platinum Guild International, has been named PR and projects manager at Luxury Brand Group NYC. Sophia Signorelli, formerly account executive at Chapter 2, has been named PR manager at Chapter 2. Marisa Ochoa, formerly assistant account executive, Cinch PR & Branding Group, has been named account executive, consumer at Demonstrate PR. Candice Hufler, formerly assistant account executive at BPCM, has been named account executive at KFD PR. Roman Griffin, formerly assistant account executive at Siren PR, has been named account executive at Halpern PR. Archita Patel, formerly junior account executive at THINK PR, has been named account executive. Ryan Corpuz, formerly social media specialist at Nike San Francisco, has been named assistant account coordinator at Demonstrate PR. PR Consulting announces its representation of SA Hospitality Group. Chapter 2 announces its representation of Necessity Sense. Chasen Creative Media announces its representation of streetwear label Manhattan Knights. SHO+CO announces representation of BarkBox. ABPR announces its representation of ModCloth and Venus ET Fleur. THINK PR announces its representation of Shoes of Prey. Erin Kelly PR announces its representation of GoodSkin Los Angeles. AZIONE announces its representation of Dr. Charles Passler, Helix Sleep, YogaGlo, and JUST Water. TUKE Consulting announces its representation of Toni + Chloë Goutal. Brandstyle Communications announces its representation of Skin by Varley, Swipecast, NicholsMD, Fabricut, and bodylogix. APA PR announces its representation of Boomdash, CHI, and Esquire Grooming. MMPR announces its representation of Smoko, House of Nonie, and Moonlit Skincare. L. Woods PR announces its representation of GoldNeilson.com. HL Group announces its representation of AUDRA. BPCM LA announces its representation of ALYSSA LESS. Kucerak + Co. announces its representation of Leading Lady. Creative Media Marketing announces its representation of Stila Cosmetics. SHO+CO announces its VIP representation of MAGGIE MARILYN. Alicia Mohr and Lauren Murray have founded LMA – a like-minded agency. Off-White c/o Virgil Abloh and Warby Parker are launching a sunglasses collection. Former Chanel chief executive Maureen Chiquet has been nominated for election to the Canada Goose board of directors. Nicola Brandolese, formerly head of retail at Luxottica, has taken on an undisclosed role at Fendi before she moves on to another chief executive role at LVMH next year.